McLeod Racing Tuner Series Clutch - Street Supreme UNKNOWN - TRU Motorsports International LLC - Your Car and Truck Headquarters! 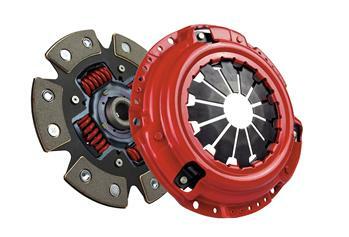 The Street Supreme clutch kit is the newest offering in the Supremacy Line for the Sport Compact and European Markets, it’s the perfect choice for street/track applications. We recommend it for cars up to 70 – 100% more power(depending on part number) perfect for street cars with moderate bolt on’s and engine modifications. Included is a high quality high clamp load pressure plate, high torque ceramic 6 puck disc for superior holding power and smooth engagement. Our kits are complete, they come with pilot tool and throw out bearing (where applicable). If you are looking for a clutch that’s a great replacement from your stock set up, the McLeod Street Supreme is your best option. Supremacy by McLeod Racing.